About Abhimanyu Kumar Vatsa ! Hello! I'm so glad to have you here. 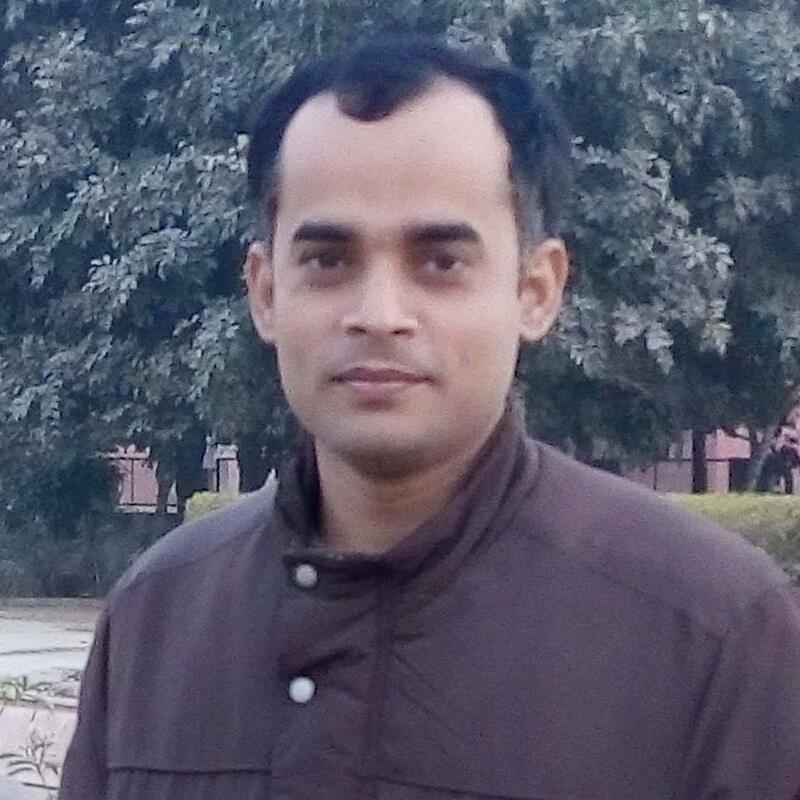 I'm Abhimanyu Kumar Vatsa, Microsoft MVP (5 times in a row), C# Corner MVP, published author of Instant Razor View Engine How-To book from PACKT publication, author of Java Programming and Oracle PL/SQL video courses and a Full Stack Web Developer (.NET & Azure platforms). In free time, I write blogs, deliver technical sessions, mentor developers around the world online (free as well as paid). Kudos to me by C# Corner Team | Interview by Silicon India. I have done two master degrees (M.Tech.IT and M.Sc.IT) and before that I had Bachelor in Computer Applications and many certifications including "Advanced Diploma in Computer Applications", "Diploma in Web Designing and Developments", "Certificate in ASP.NET" etc. I grew up in a remote village 'Pipra Khem', which is about 30KM from 'Motihari' and about 50KM from 'Muzaffarpur', Bihar, India. My parents live there with my other relatives. My father is a farmer and my mother is a house wife. I have a little brother and a little sister. They all are part of my body and soul. I passed my child hood in my village, and had completed my schooling as well as high schooling there, that time there was no electricity in village hence not seen computer. Then I moved to 'Bokaro Steel City', Jharkhand to earn and learn, at the end i've done too many degrees & certificates and after that a good job. ITORIAN word is combination of two different words IT and ORIAN. IT stands for Information Technology and ORIAN is something that can be define as "technology solutions under one roof", here roof is my blog :). The real story behind this blog was when I was learning computer I thought to learn website hosting stuff and then finalized this domain. Later, I thought to record and share my learning and experience over internet. Along all the way, I kept my each and every notes in computer files and these notes eventually became post on ITORIAN after many revisions. You are welcome to link to/copy/borrow/steal/bookmark or otherwise make use of any of the code you find here if it is useful to you, entirely at your own risk. You may NOT COPY entire article and publish them on your own site. All the code shown on this blog has been compiled and run successfully by me. If you post any comment telling me that my code doesn't work, I'll delete it. Always remember the best place to ask questions about any errors you get in your app code is at forums not at blogs. You could use the comments facility that features at the bottom of every article in the blog to send feedbacks/appreciations/thanking etc, but this is not the quickest way to get help. I may be busy doing my day job; it might take days before your comment is even moderated and published. And even then, I may not know how to solve your problem. If you find that the concepts introduced in my blog posts are foreign to you, and I didn't explain them well enough or at all, feel free to use Google or Bing or any other search engine to find more information, or use the forums to ask a question. I'm happy to point people who are obviously making an effort to learn for them in the right direction, but I hate seeing questions in the forums that basically ask people to write an application for the questioner. I'll help you to find out how to do your homework, but I won't do it for you. For example, I'll help you to cook Kheer (Rice + Milk + Sugar cooked together) by suggesting you the quantity and time intervals to use, but won't cook for you completely. People always complain that I'm not getting the right solution on forums; my friend, hold on. Are you asking concise, short, quickly solvable and to the point question? I believe, if you do same, you'll get your solution quickly. You may notice that I don't generally put downloads; sometimes I do and update source code on GitHub and share the link in the same post and sometimes upload it on OneDrive and also attach the download link on same blog post. I know you have been working hard. And I wanted to tell you that you are doing a good job! awesome work bro......Keep it up...our blessing are always with you...!!!!!!!!!!! i would like to go through your complete videos for java tutorials. i gone through available videos on you tube.i found some videos are not included there.let me know how will i get your complete videos of rest of the subjects too. data_1959@yahoo.com. Bless you brother !! Please keep sharing your knowledge. I belongs from Hazaribag Jharkhand ,nice to see someone from our side doing a wonderful job. I am planning to buy your java video. Please help me how to get job in company like microsoft, google. I am ready to work hard as much. Please guide me. Db first. ). in MVC 4. I learned so much from your tutorials. Thank You. I was asked to do this. I tried many ways but I couldn't get any solution. Kindly help me to. In this case I can think of two other options.